A Very Special FREE Gift From Me To You! I’m super excited that this day has finally arrived! Nothing makes me happier than being able to share a free resource with you and that’s what today is all about. The anticipation has been killing me! I’ve been hanging my head in shame about it and even sent out a newsletter a couple of weeks ago apologizing for the delay. I always want to know about any technical difficulties that you experience, so I’m thankful to those of you who emailed me directly to let me know you had not received your copy. A huge thank you to everyone for your patience! Thankfully, all those pesky problems have been resolved and today, I’m over the moon excited to be able to proudly share my beautiful new free e-book with you! 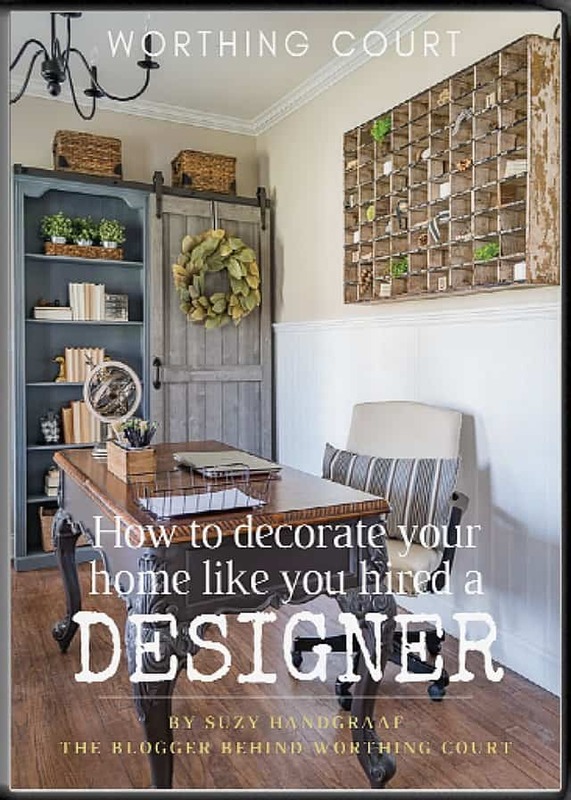 It’s filled with gorgeous photography and great tips for how you can decorate your home just like you hired a designer. A SPECIAL NOTE TO MY CURRENT SUBSCRIBERS: My new e-book is for you too! Be sure to check your email inbox for a newsletter from me with the link to access the e-book. My whole purpose behind this blog of mine is to empower, encourage and inspire you to create a home that you love, no matter where you live. Yes – you CAN do this!